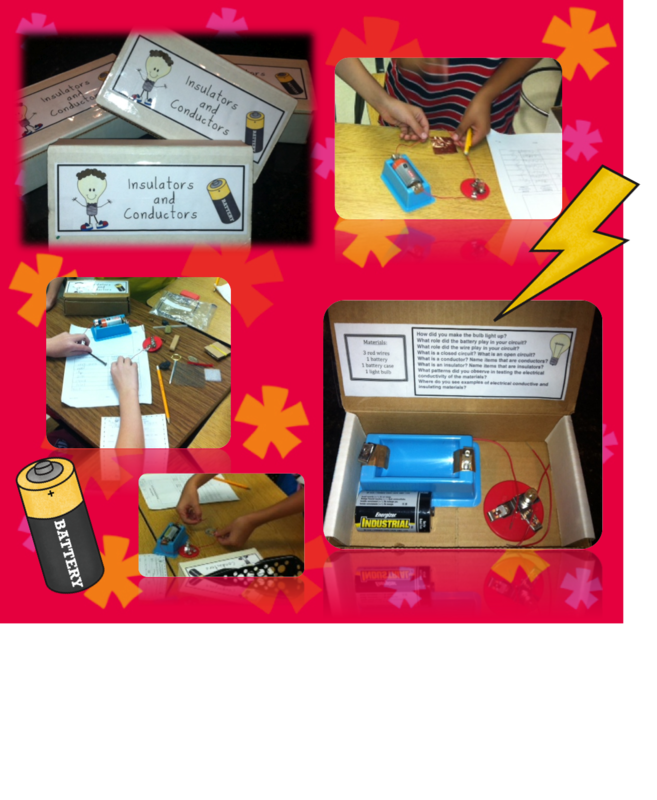 Fabulous 5th Grade Fun: It's Electrifying! Experience before label! I handed each group the extremely cute, Insulators and Conductors, box of items and asked them to light the bulb. No other directions! It was so interesting to watch as each team approached the task. 8 out of the 10 groups were able to light the bulb. Ok...one group had a faulty bulb! Oops! After, I gave them the label...closed circuit, we had the discussion-What makes it a closed circuit? 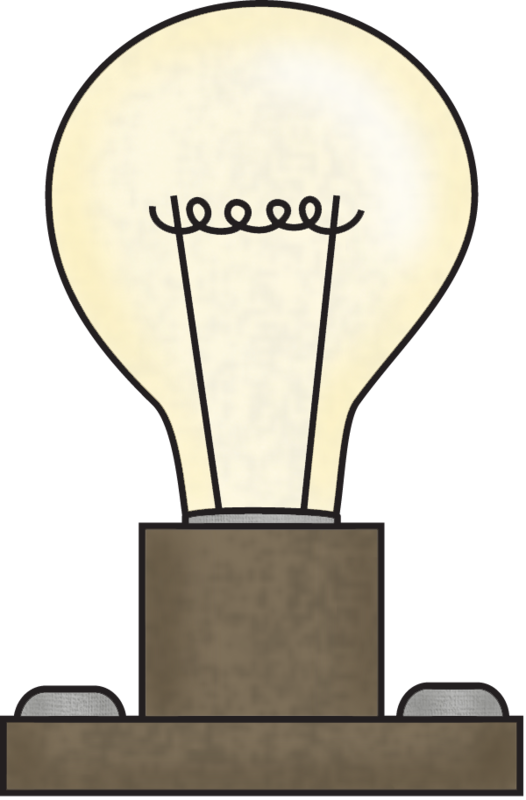 I posed the question...Are there everyday items that will close the circuit...LIGHT THE BULB? We created our insulator/conductor testers with the items from our oh sooo cute boxes. We started predicting what item might be a conductor. Then off to the testing. What great discussions! Students made their own connections as they tested. I loved listening. They added the information to their data chart and then drew a closed circuit. When they finished up their sheet, I had them discuss the questions that were on the inside of their box. Loved the group that said, "Where'd those questions come from?" Ahh.. the power of wires, batteries and a light bulb! They make you oblivious to questions posted! I love this lesson. Inquiry is crucial!! I think it is so important for students to explore before being told how and why. Your students will remember thus experience for a long time!! We had fun! What I loved is the fact that some had made a connection from last year! Wahoo!